Water is the most crucial element in any bathroom experience, which is why your plumbing needs to be revisited before taking on any renovation project. This aspect may not be as glamorous to inspect, but it’s crucial to the smooth running of the space. They will also look at the layout of the space to ensure it is efficient. Bathroom renovations can get quite expensive, so your creativity and resourcefulness will come in handy in picking your new tiles. Buy a combination of similarly coloured tiles and line them up in transitioning shades. They may even be cut in various shapes and laid out in different patterns. Aquatic Bathroom’s regular tile supplier, Geisha Ceramics has a variety of affordable tile designs for you to mix and match. Lighting can instantly change the mood in a space. Use this bathroom feature to your advantage by equally investing in energy efficiency. You may have a set of windows installed or redesigned for functional lighting during the day. In the evening, LED lighting can provide sufficient lighting while also lowering energy bills. After functionality, accent pieces can enhance your bathroom’s relaxing atmosphere. Place some decorative lights on top of your vanity mirror for flattering illumination while getting ready. A 2-in-1 bathroom heater can also function as accent lighting to save you the expense of paying for two separate fixtures, as well as keeping you warm in the cool winter months. 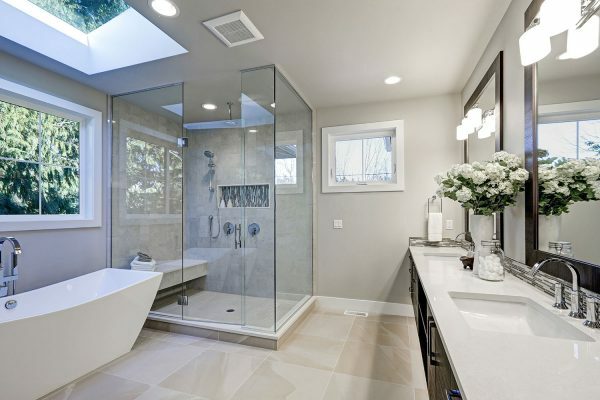 Depending on the extent of work which needs to be done, the four previous bathroom renovation ideas may be included in the cost of your new layout. 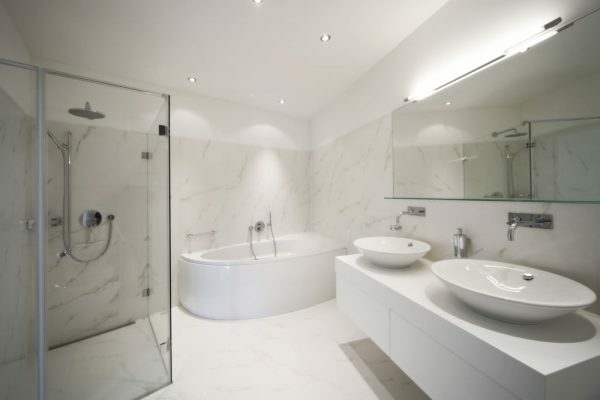 Are you planning to maximise bathtub space? Or perhaps you’re going for a more simple and clean looking layout. 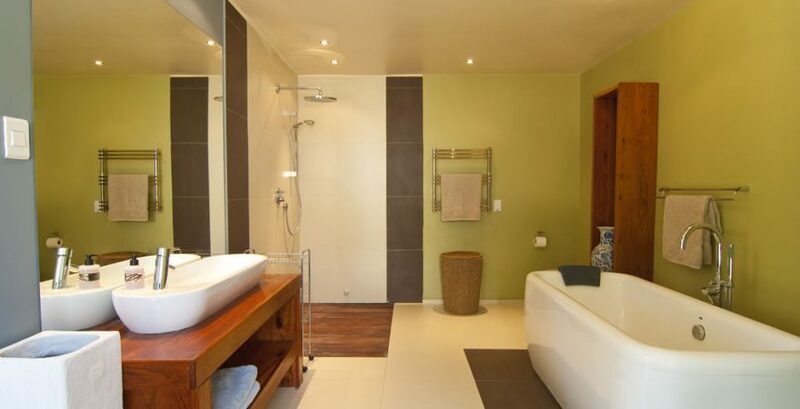 Plot your main bathroom activities along with your preferred design. Some major furniture pieces may be placed right in the centre of your space, and serve as interesting accent pieces. Still, functionality is valuable. Place your faucets, cabinets and vanity mirrors in corners adjacent to your walls. Work with a designer to further maximise one of the most relaxing areas of your home. Want to get started on renovating your space? 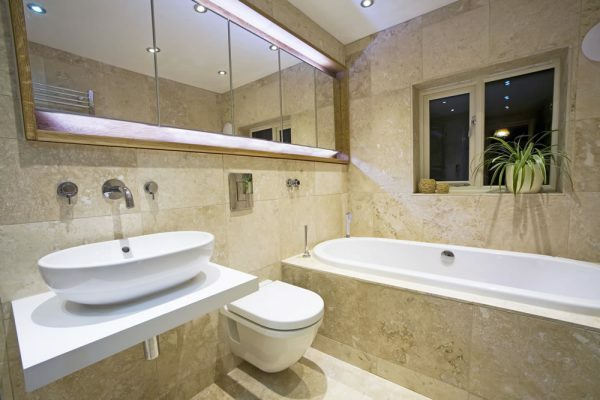 Choose Aquatic Bathrooms for some of the best in the industry. Contact us at 0411 857 566 to get started today.